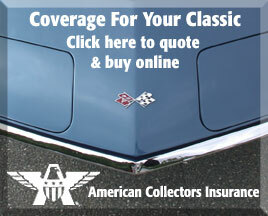 automobile Archives - Yetter Insurance Agency, Inc. Proud to serve both Pennsylvania and New York. Thanksgiving is a time when we gather with friends and family to celebrate that for which we’re thankful, but it’s also a time to practice caution. When you’re traveling this Thanksgiving, keep in mind the added risks associated with the holiday. By following the simple tips outlined here, you can reduce the likeliness of becoming another Thanksgiving statistic. There are more drunk drivers on the road the night before Thanksgiving than any other day of the year. There are a few reasons for this. Thanksgiving is one of the only times of year when those who have moved away from their hometowns return. They may meet at bars to catch up with old friends who have also dispersed around the country. If you are going to be traveling the night before Thanksgiving, it is imperative that you engage in defensive driving and understand that other drivers on the road may have been drinking. Keep a safe following distance, pay extra close attention when approaching intersections, and stay extra vigilant when you’re driving around other motorists. If you’re going out to meet up with friends at a bar or party the night before Thanksgiving, you should secure a designated driver, call a taxi, or offer to be the designated driver to ensure a safe trip for all involved. The day before Thanksgiving isn’t the only dangerous day on the road. With many drivers who are unfamiliar with their surroundings populating the roads, the whole week presents added dangers while traveling by car. Thanksgiving night has a 20% increase in traffic accidents, Black Friday has a 34% increase, and the Sunday after Thanksgiving has the highest number of out-of-state accidents of the week. If you’re going to be drinking, be sure to get a designated driver or hire a taxi. Consider traveling home the Monday after Thanksgiving. There is a dramatic reduction in the number of accidents on that day than the week leading up to it. If you can’t wait until Monday to travel home, there are 17% fewer accidents on Saturday than on Sunday. Be extra vigilant when approaching intersections. Give yourself extra time to reach your destination to account for traffic and the possibility of getting lost. For many people, Black Friday is just as much a part of the holiday as Thanksgiving Day itself. The parking lots of major retailers are often packed and present accident risks of their own. If you’re going shopping on Black Friday, follow these tips to reduce the likeliness of leaving the store to find your car damaged in the parking lot. Avoid diagonally positioned spaces. There is an increased risk of being sideswiped in diagonally positioned spaces in comparison to straight spaces. Don’t park at the end of aisles. Cars parked on the end of aisles are more likely to be involved in an accident due to additional exposure to turning vehicles. To prevent dings and dents, park further away from the entrance of the store where you’re less likely to come in contact with other cars’ doors and shopping carts. Be careful when pulling in and out of parking spaces. Beyond the dangers of traveling the week of Thanksgiving, there are also precautions you should take if you’re going to be out of town for several days. If you’re going to be away from home for more than a day, use the following checklist to make sure your house is protected while you’re gone. Shut off all appliances before leaving. Turn off the water to your hoses. If you live in a cold weather area, wrap your outside pipes to keep them from freezing. Make sure all of your important documents are locked in a fireproof safe. Don’t post on social media that you’re leaving town. Burglars often turn to social media to see who will and won’t be home. Set your lights to timers. This gives the impression that someone is home. Close and lock all doors and windows. If you have a burglar alarm, set it before leaving. Auto insurance is a cost that we all must incur if we wish to have our vehicles on the road. What many don’t realize is that there are a variety of ways to lower the cost of auto insurance premiums. There are many factors that can affect your premium, meaning there are many ways to reduce your premium based on your behavior and habits. Reduce Your Coverage Collision coverage provides enormous benefits if you’re involved in an accident while driving a newer automobile, but for older cars and trucks, it might not be worth it. If you are driving an automobile that is worth less than $3,000 in its current condition, you may benefit from no longer having collision coverage on it. Many insurance companies offer discounts if you get multiple policies, like your auto and home or renters insurance, from them. By bundling your insurance plans, you can often lower your premiums by up to 7% through a multi-line discount. Your deductible is the out-of-pocket cost that you pay when you make a claim. For most of us, auto insurance claims come few and far between. It’s a good idea to raise your deductible if you can afford a higher out-of-pocket cost when you make these claims. The savings that add up through years of lower premiums can easily outweigh the one-time cost of a higher deductible. If you don’t regularly make claims on your auto insurance, raising your deductible can be a good way of lowering your premium. How often you drive your automobile contributes to the cost of your insurance premium. The more your car or truck is on the road, the more likely it is to be involved in an accident. Many people simply estimate how many miles they put on their car in a year, and it is important not to overestimate. By tracking your mileage, you can give the insurance company a concrete number of miles that you drive in a year. Also, if you have recently replaced your automobile and now use it as a secondary vehicle, then you are not putting as many miles on it. Contact your insurance agent and update them on the annual mileage of your, now, secondary vehicle. This is one that most of us are aware of already. A safe driving record with no traffic violations lends itself to lower insurance premiums. Avoid speeding, and be a defensive driver by staying aware of other drivers on the road to help reduce the risk of accidents and traffic violations. Your insurance company will reward you for your safe driving habits. Your credit score factors into the cost of your insurance premiums. While there may not be a way to measure the risk of getting into an accident, many insurers use it because it has been shown there is a direct correlation between how an individual manages their credit and whether they will file a claim. By eliminating credit card balances, paying bills on time, and practicing other sound financial habits, you can raise your credit score and lower your insurance premiums. Make sure your insurance company knows about the anti-theft measures and safety features of your automobile. By parking in a garage, you reduce the risk of theft, which can lower your premium. You can also install a car alarm or an ignition cutoff switch to lower the probability of theft. Added safety features such as a backup camera, electronic stability control, anti-lock brakes, air bags, and automatic seatbelts can also help to lower your premium. Talk to a Yetter Insurance agent today to find out how you can lower your auto insurance premium. For more information, please contact Yetter Insurance Agency at our Milford office. Visit www.yetterins.com or call 570-296-8329. Our team is comprised of area residents that truly care about our insured. These are the people that are on the front lines answering the phones, preparing quotes, and working hard to ensure each of our clients receive prompt, personalized service.